Start the new year off right by registering for a data workshop offered by the Library’s Research Data Services Team! Below are the workshops we have coming up in the next four weeks – and there are more for the remainder of the semester on our Library workshops calendar. 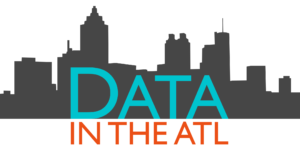 The Library is also hosting a talk on February 9 as part of our DATA in the ATL speaker series—see bottom of post for details about that. Hanah is an educator and researcher who directs research initiatives for GEEARS, a non-profit organization established to help business, civic, and government leaders maximize the economic return on Georgia’s investments in early care and learning. Through her work with GEEARS, she has helped develop a suite of online data tools, the Readiness Radar, which allows citizens and other decision makers to explore a range of information relevant to early childhood and school readiness in Georgia. Most recently, she and colleagues launched the ATL ACCESS Map, which visualizes supply, demand, and gaps related to child care in the metro area. 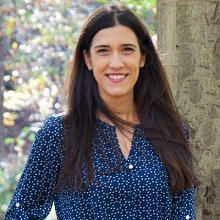 Hanah is a graduate of Emory University, with a master’s in early childhood education and Ph.D. in educational psychology from Georgia State. More about Hanah Goldberg.